After years of regret and the agony of carrying a painful secret, many women and men think there is no chance of an escape from their despair. 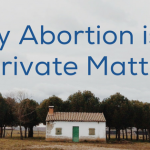 Hearing that a post-abortion recovery support group even exists and is available to them begins to give them hope. They hear that others have been in that place of desperation, yet now walk in a freedom from shame and a joy of knowing they are forgiven. “How can that be? Is that possible for me?”, they ask. Read these testimonies from past participants in the women’s support groups of Clarity’s program called Hearts Restored. These testimonies help to dispel the doubt and fear of choosing to heal. Anyone can share in this journey of freedom and peace. There is no cost. There is no age limit. Because 1 out of every 3 women of child-bearing years has had an abortion, you know someone who needs this opportunity to heal. 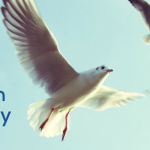 Clarity’s Hearts Restored program is completely confidential. Contact Sue today by email or phone at 812.567.3150. If you know a woman with an abortion in her past, then you know a man in that position as well. Men can contact Don by email or by phone at 812.720.0802. 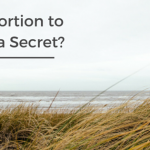 Is My Abortion to Remain a Secret?